My ode to the French artist, Edgar Degas (1834-1917), one of the founders of Impressionism, although he preferred to be called a realist. 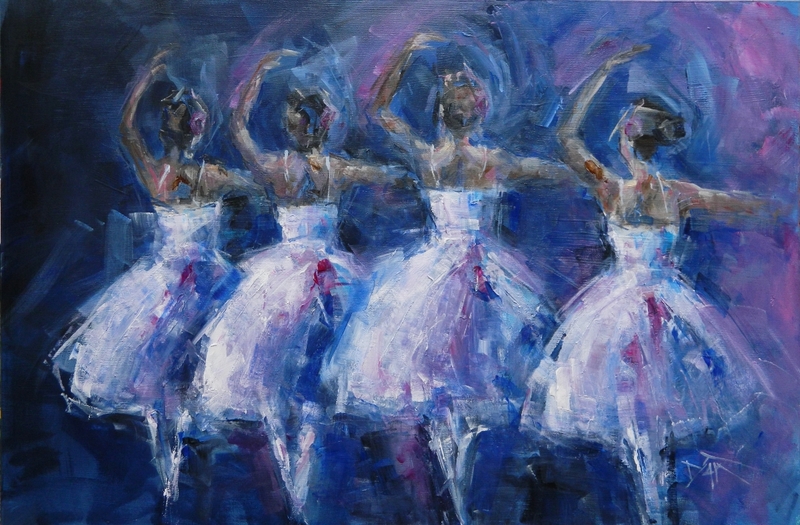 Over half his paintings were of ballet dancers and, like Degas, I like capturing and creating movement in a painting. While he is more detailed and realist, I move toward a more expressionist (or abstract) style. But Degas remains one of my favorites of the Masters, so with this painting I tip my hat and, er…my paintbrush.